It's no lie my skin has been atrocious over the past couple months, worse than it has been for years. I'm not sure what's caused it but I know my skincare regime slipped because of the way I've been sleeping. I can't take it any more so I spent a bunch of £s on trying to get in order. Just a few initial thoughts on the products, this isn't a review as I've only been using them for a few days. Soap & Glory - Peaches & Clean - Makeup wipes have now been banished from my life. This is a light cleansing milk that can remove makeup. It has peach extract along with jojoba oil. It smells yummy and glides over the skin. This is the cleanser I use in the evening. Lush - Breath Of Fresh Air Toner - I've been wanting to try Lush toners out for a little while now and this one seemed best suited to me. It reduces dryness, soreness and redness. Whilst softening the skin with aloe and feeding it with vitamins and minerals. Another plus is it doesn't leave my skin feeling tight. I just spray it on and let it soak in. Lush - 9 To 5 Cleanser - Lush say this is a calming, cleansing lotion for clear skin. I use this in the morning, smooth it all over my face and wash off with a touch of water. It contains almond oil, fresh dove orchid extract and ylang ylang. It leaves my skin silky smooth after. Soap & Glory - The Greatest Scrub Of All - This exfoliator is suitable for all skin types. S&G say this contains smooth-boost spheres that pop when you press on them. I'm guessing that would work when scrubbing. I've only ever used sand exfoliators and they were far too abrasive compared to this. It has a subtle minty fresh fragance. Lush - Vanishing Cream - This is the only thing that isn't new to me. I use this under my primer as it's a light moisturiser that's easily absorbed. 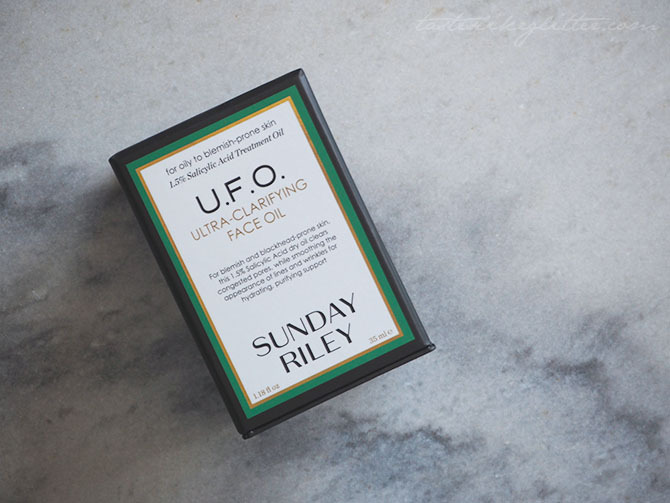 It helps minimise oil content and helps acne-prone skin. Contains rose, lavender and witch hazel. Smells amazing! Lush - Skin Drink - According to Lush, dry skin drinks this up, hence the name. It's a best seller. I can see why, I woke up this morning to amazingly smooth skin and it was really hydrated. But and this is a big but (I like big buts and I cannot lie ...), it smells horrible. The first time I put it on my face I was dry heaving. Trust me, that is not a good look. It contains sesame oil, roses and avocado. The only way I can use this and be fine with it is by shoving a ton of solid perfume up my nostrils before covering my face in it, again not such a good look. I really cannot abide using skin care I don't like the smell of, anyone else? So this is going to be a test. Soap & Glory - You Won't Believe Your Eyes - I don't really use eye creams but the other thing I wanted on the 3 for 2 was out of stock so I picked up this instead. It's got cucumber juice in it and 'amazing tired- eye moisture serum with instantight and puffease 360'. Who knows what that even means but it's a triple roller ball applicator and it's nice and cooling to the skin. 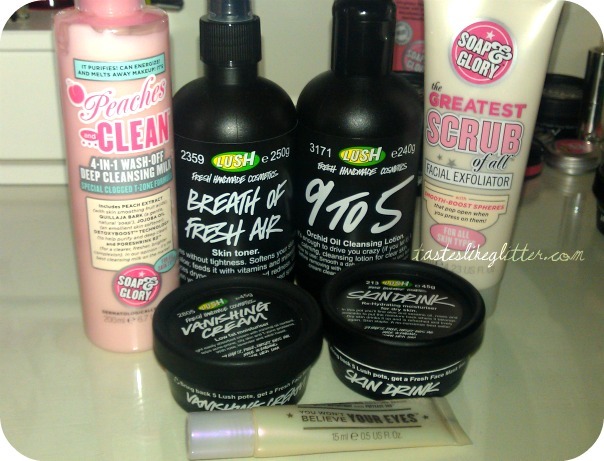 That's my little collection of things I'm hoping will clear up my skin.